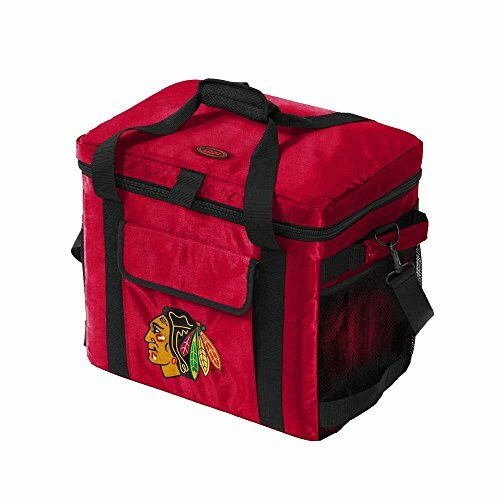 The Glacier cooler is just what you need to keep your drinks cold. With a capacity of 48 cans, the Glacier is sure to hold everything for whatever your event may be. With an embroidered team logo and team color and multiple pockets, the Glacier will get your drinks cold on those hot game days. Dual top handles and a detachable shoulder strap make for easy carrying.